Phew. Gaming can sometimes be hard. Like when there are tons of cool conventions going on all summer long and you just can’t seem to get to all of them. Lucky for us, we have clones. That’s right, clones. Right now, there are hundreds of little Monkey238s running amok, possibly in your neighborhood. It’s true! Don’t be alarmed, though – they’re mostly harmless. Just have some Doritos and ice cream at the ready. You may need it. C’MON, YOU KNOW YOU LIKE FREE STUFF! If you listened to the podcast (and if you didn’t, shame on you) then you know that we have a cool giveaway from Stratus Games! 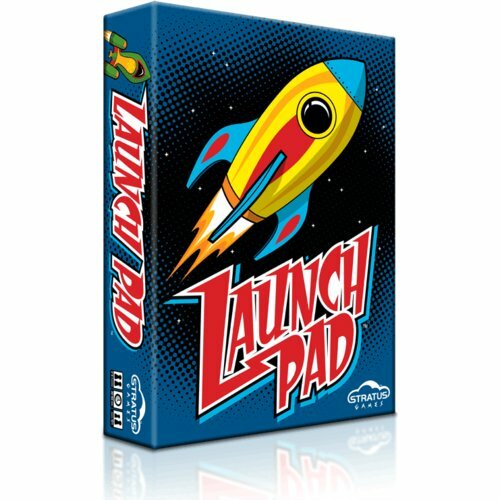 From now until August 25, you have a chance to win a free copy of Launch Pad – a game we reviewed last year and have found gets better -and punkier- with age. To enter, just click on this link and fill in a simple quiz. There are 10 questions, and for every correct answer, you’ll get one contest entry! Listening to the show right now….I’m excited and can’t wait for your games to get on Kickstarter!!!!! 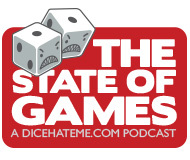 Thanks for another great podcast filled with plenty of boardgaming news, industry insights and game recommendations interspersed with copious laughter and humor. Best of luck with your upcoming launch on KS! Shawn – Thanks, as always, for listening! We’re excited and can’t wait for our games on Kickstarter! Lee – We appreciate the vote of confidence – and thanks for listening! We’re glad you are enjoying our silly banter.